Too fat, too skinny, too dark, too light, too short, too tall: everyone has insecurities about themselves that they carry from their childhood. The Dove Self-Esteem Project (DSEP)Â wants to change that by helping Â young people, especially girls, develop a positive relationship with how they look. It has reached over 20 million young people globally, and launched in South Africa on October 19 in partnership with the Department of Basic Education. Through the DSEP, free and accredited educational tools and resources that address issues of self-esteem are available online. Anyone can access these to start positive, intergenerational conversations with young people. The programme was developed with leading experts in psychology, health, and body image. 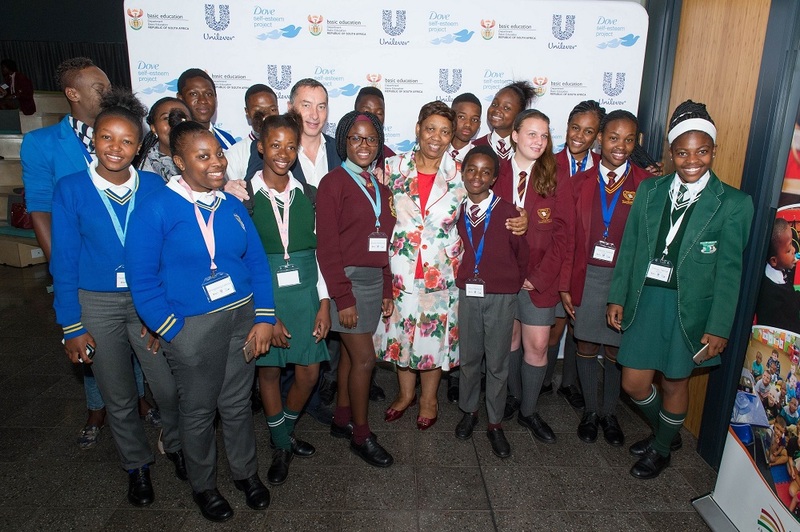 The launch of the programme took place in Sandton on Friday and was attended by Minister of Basic Education Angie Motshekga, Unilever Executive Vice President Luc-Olivier Marquet, educational psychologists, influencers and actors and a group of schoolchildren from schools in Johannesburg. After introductory speeches, there was a panel discussion with experts and influencers about self-esteem and the impact it has on the way we lead our lives. Panellists spoke about the self-esteem issues they grew up – to do with freckles, skin colour, body shape -, how these impacted on their lives, and how they overcame their issues. 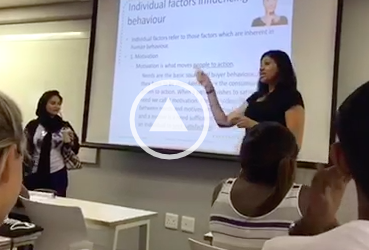 â€œSelf-esteem isnâ€™t about looking pretty and having nice hair, itâ€™s about how a lack of self-esteem can take away your glory, beauty, and shine,â€ educational psychologist Dr Tshepiso Matentjie said. The launch ended off with a workshop where schoolchildren, experts and influencers workshopped the resources that the DSEP developed. 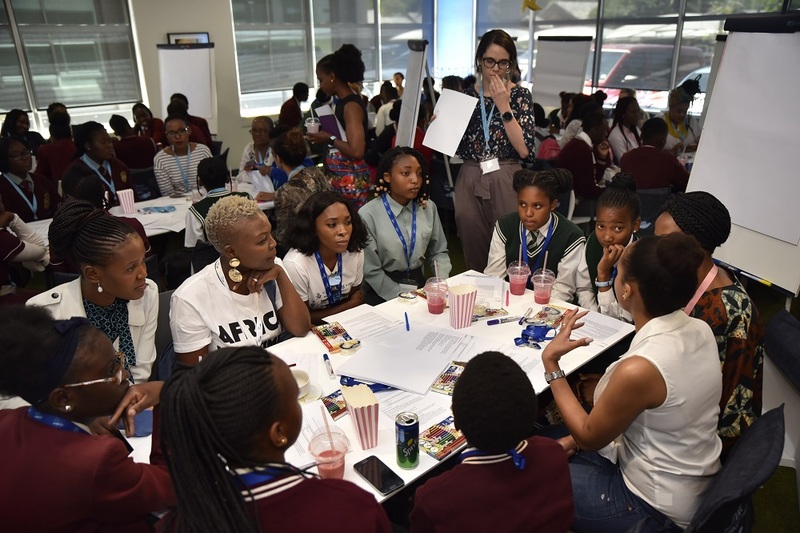 Matentjie – who helped develop the programme for the South African context – said itâ€™s important to talk to young people about beauty, confidence and self-esteem as this can help change the way they see themselves for a lifetime. â€œYou canâ€™t control what people say about you, but you have to have the power not to believe what theyâ€™re saying,â€ Matentjie said. 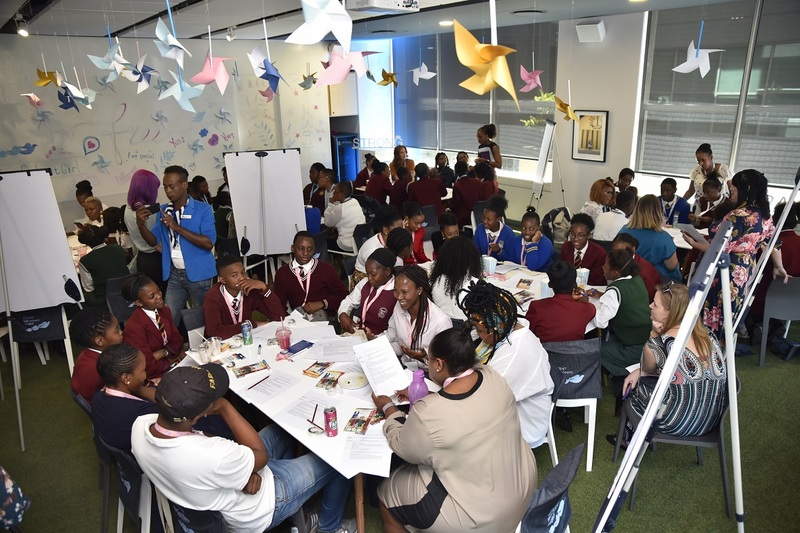 As the programme speaks to Goal 4 of the Sustainable Development Goals, improving the quality of education, Dove joined forces with the Department of Basic Education to equip young people with localised educational tools that will help them to ultimately realise their full potential â€“ and raise the next generation of strong, confident young people. â€œProgrammes to expose learners at the earliest stages of primary school to different various tools and resources should be supported, which is why weâ€™re so excited to work with Unilever, through its brand, Dove, to equip learners emotionally; helping them to stay in school, build resilience to lifeâ€™s adversities and aspire to be more despite these challenges,â€ said Minister Motshekga. These proactive measures can assist in dealing with issues pertaining to sexuality, alcohol and violence, education and mentorship, sexual and reproductive health and career guidance, Motshekga added. This programme is part of the Unilever Sustainable Living Plan: itâ€™s vision to grow the business, decreasing its environmental footprint, and increasing its positive social impact of our business. In the 14 years since it was launched, the DSEP has reached more than 20 million young people globally. Dove aims to reach its goal of impacting 40 million young people by 2020 with itâ€™s positive self-esteem messaging. 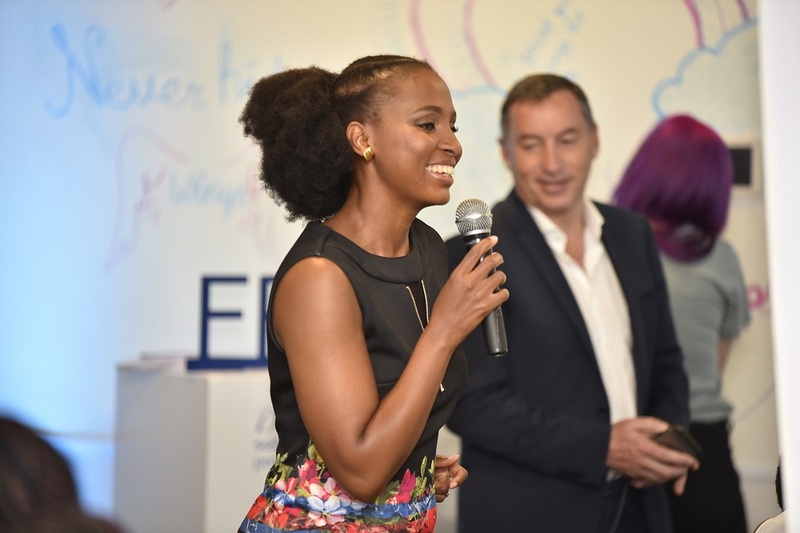 â€œWe are dedicated to helping the next generation raise their self-esteem and realise their full potential,â€ Senior Public Relations Manager of Unilever Beauty and Personal Care for Africa Sphelele Mjadu said. â€œThese conversations are already happening, but today Dove brings a much-needed spotlight for all South Africans to address the difficulties and share the successes they experience in their own personal stories. We are at a turning point in South Africa, but we want to give hope to the next generation and let them know that they are not alone and that their self-esteem can only be defined by them,â€ Mjadu added. 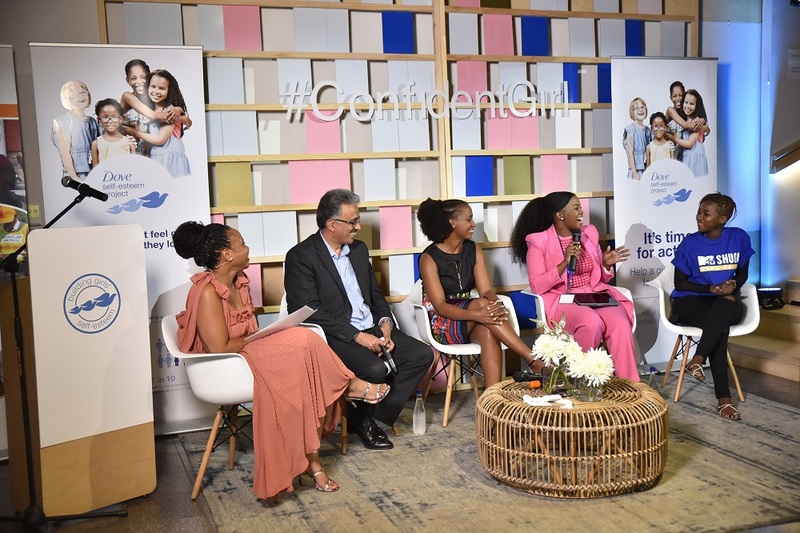 Resources to assist parents, teachers, individuals, and professionals in ensuring that low body confidence doesnâ€™t stop young people from being their best selves are available here.Â Join the conversation on social media using the hashtag #ConfidentGirl.